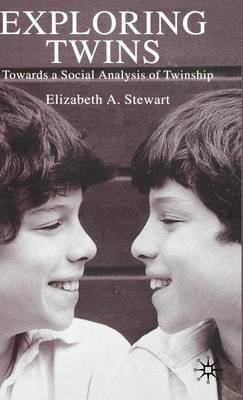 Exploring Twins presents an analysis of twinship considered as a specifically social phenomenon. Drawing upon a wide range of interdisciplinary, historical and cross-cultural data, Dr Stewart argues that in both traditional and modern societies, twinship represents a recurrent anomaly which calls into question the assumptions around which different types of society are organized. Part One identifies and analyses the fascinating range of cultural and disciplinary approaches to the interpretation of twinship, while Part Two considers the possibilities for a distinctively social analysis of twinship.